Rebecca's fifteen years of experience as an interior designer will guide you to make choices that work for your lifestyle and home. Call today to schedule a design consultation! For more than 15 years, Alair Homes has been working with Charlotte homeowners to transform the spaces where they live through quality craftsmanship and expert project management. Holly Hollingsworth Phillips is a residential interior designer and co-owner of The English Room, which is based out of Charlotte, North Carolina. Holly’s style is elegant, eclectic and colorful. She has completed homes all over the east coast that have ranged from the super modern to very traditional while keeping it true to her style. She loves overseeing the design process from beginning to end. The best part is when your clients really trust you and set you free to do what you do best. Her love of color, pattern and layering of old and new can be seen in all her work. According to Holly, “Color makes people happy!” She loves the mixing the tradition of the past with the modern style of the future. Holly has worked in the design world from and early age. Her mother took her to antique shows all over the east coast and she went on her first buying trip to Europe at age 12. The home Holly grew up in was designed by Mario Buatta. She has fond memories of introducing Mario “the Prince of Chintz” to Chick-fil-a nuggets while discussing “decorating” as a third grader. Her mother, Nancy Hollingsworth, is a well known interior designer, and specializes in the English Country style. Childhood play dates could turn into magical discussions with mothers while they moved around furniture. Her lifelong passion for the arts has never waned. Holly has a strong educational love for antiques and the history of the decorative arts led her to this business. Holly’s early design experience includes working with Alexandra Stoddard and Sotheby’s – both in New York City. Holly completed a Mint Museum Senior Study and worked at the Atlanta Decorative Arts Center. After College, Holly lived in London while completing Sotheby’s 17th and 18th century decorative arts program. She has also completed The Winter institute at Winterthur, which provided a deep exposure one of the most complete collections of American Antiques in existence. Her first “professional” job was with Travis & Company in Atlanta where she ran the Antiques side of the showroom. In 1999, Holly joined her mother full time at the English Room in Charlotte. Her educational background includes a degree in Art History from Rollins College and a degree in Interior Design from the American College. Barbara Valentim is an award-winning interior designer. She is an interior designer whose friendly personality and work ethic lead to valued and lasting relationships with her clients. 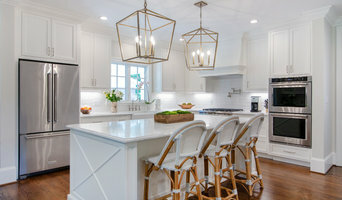 Nancy Taylor Lynch Interior Design, Inc.
Nancy Taylor Lynch Interior Design, Inc. is an interior design firm that provides a full range of space planning and interior design services. We are committed to transforming your space into an aesthetically pleasing, functional, and comfortable environment. From the initial meeting to the final installation, creativity, attention to detail, and customer service are top priority. Nancy and her staff make each project unique and pride themselves on a satisfied client every time. Charlotte Area Interior Designer | 5x Best of Houzz Winner! With a passion and inherent talent for color and design, Jaclyn works with homeowners to create their own sanctuaries with her unique down-to-earth style and excellent service. Having worked in a small architectural office, my experience includes involvement in the design process from schematics through construction documents for various projects including luxury homes, house boats, and a range of commercial projects. My goal is to design, not just for aesthetics and functionality, but for health and well-being. I would be honored to have the opportunity to assist you with your commercial or residential design project. Let’s talk. Rosa Dest Interiors offers full interior design services that reflect our clients' lifestyle. We are bold, chic, and put a spin on modern traditional style. Best of Houzz 5x for Customer Satisfaction! -- Tamara’s approach is attentive and personalized, creating design solutions that meet each client’s individual needs and budget. Certified Kitchen Designer, Laura Vlaming, offers design, planning and implementation of interior renovations, in a collaborative, approachable and professional manner. She brings her clients 30 years of Interior Design and Residential Remodeling experience, including time under the tutelage of architects, contractors, engineers and surveyors. During her years, at a high end residential Design-Build firm, she gained invaluable experience and a thorough understanding of the many facets of the construction / remodeling process. Her interactive design approach, results in spaces that are that are tailored to each client, while respecting their tastes, the architecture of their home, and their budget. Occasional, unexpected design solutions are always appreciated, too! As part of a team of experts, who turn your goals and ideas into reality, she can guide you from initial design concepts through final design, and will be your advocate through the construction process. Leo Dowell is an internationally acclaimed designer specializing in interior and exterior designs requiring authentic French, Italian and English details for today's lifestyle. A North Carolina native, Annie Fair spent much of her adult life in Los Angeles, California. Annie founded her namesake firm in 2017 with a growing number of projects both on the west and east coast. Working in collaboration WITH you, we can help you create a home that is an extension of you - showcasing your interiors with beauty, functionality, and innovation. While I respect and understand traditional design precepts, I believe great interiors bend and twist and reinterpret the so-called rules. Therein lies the fun, the creativity and the individuality. When translated into any language, the word HOME resonates that which we cultivate in our lives. Whatever home means to you, MAISON works to make your vision not only meaningful, but inspiring. JK Designs works with clients to create beautiful spaces and welcome homes, using the clients pieces and or curating a look uniquely theirs. 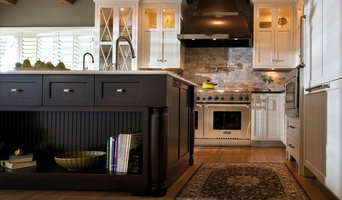 We design and manufacture custom cabinetry for complete kitchen and bath remodels. We offer a wide variety of styles and finishes to appeal to our upscale clientele. Interior design, home staging and 3D Renderings. Available for contract work from larger firms or full projects for single family design. Various roles include project management, project architect, quality assurance and construction administration. The design of your new home or renovation starts with a discussion. Understanding your goals and existing site context for us is paramount, as those items begin to inform us how your project will develop. Are you interested in environmentally friendly design? Are clean lines with minimalist architecture important, is there an important historic context that must be addressed? A series of questions and discussions will lead to sketches, plans and perspectives to allow you to see and be a part of the design process. Located in Dilworth, our intimate office size allows the Principal to maintain direct involvement with our clients and the design process. Licensed to practice Architecture in 43 of the continental United States we serve clients throughout the country. Our strength is in our design methodology which focuses on finding opportunities for design resolution inside what are often times tight constraints. Where others may see road blocks because of a restriction, we search for opportunity. With a passion for quality design, we work as partners with our clients, searching for the right architectural solution to deliver excellent design within project timelines and budget. 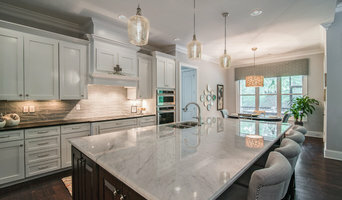 Charlotte's Finest Architect and Interior Design Firm - Best of Houzz! We Serve Charlotte NC - From Architecture to Interior Design, our process begins with dialogue. From start to finish, we believe that designing your home should be creative and exciting. A full service Residential and Commercial Interior Designer in Mooresville, NC. Specializing in unique and timeless interior spaces. Our goal is to design custom interior spaces that are sophisticated and meet specific client needs. We provide a complete range of design services from the programming phase through the construction completion. Professional interior architecture and design firm ran by Amy N. Lee, a professional member of ASID and a licensed interior designer. At Samantha Humphreys Studio, I love to collaborate with my clients and strive to create a design scheme they adore. I offer a range of bespoke interior design services to customers in and around the Lake Norman, North Carolina area, including Charlotte, Cornelius, Mooresville, Davidson and Huntersville. Whether you want to put a few finishing touches on a room or you want to overhaul your home’s design completely, I make sure I listen to you, figure out what you need and want and put together design plans that complement your goals and vision. We are an architecture and general contracting firm embodying the design build process into a fluid creative philosophy, where concept and idea direct the project and are met with originality.